We present the public release of the complete catalogues of Frontier Fields MACSJ-0717 and MACSJ-1149 cluster and parallel pointings. The catalogues include multi-band photometry (8 HST bands, deep MOSFIRE-Ks and Spitzer-IRAC 3.6 and 4.5 um), magnification, photometric redshifts and rest-frame properties, plus a variety of diagnostic information. The cluster pointings have been analysed following a multi-step procedure to remove foreground emission from intra-cluster light and very bright galaxies described in detail in Merlin et al. 2016. Photometry from low-resolution IR bands has been derived with T-PHOT. MACSJ-0717 cluster: A tar containing the multi wavelength catalogs and photometric redshift information of the MACSJ-0717 cluster. MACSJ-0717 parallel : A tar containing the multi wavelength catalogs and photometric redshift information of the MACSJ-0717 parallel field. 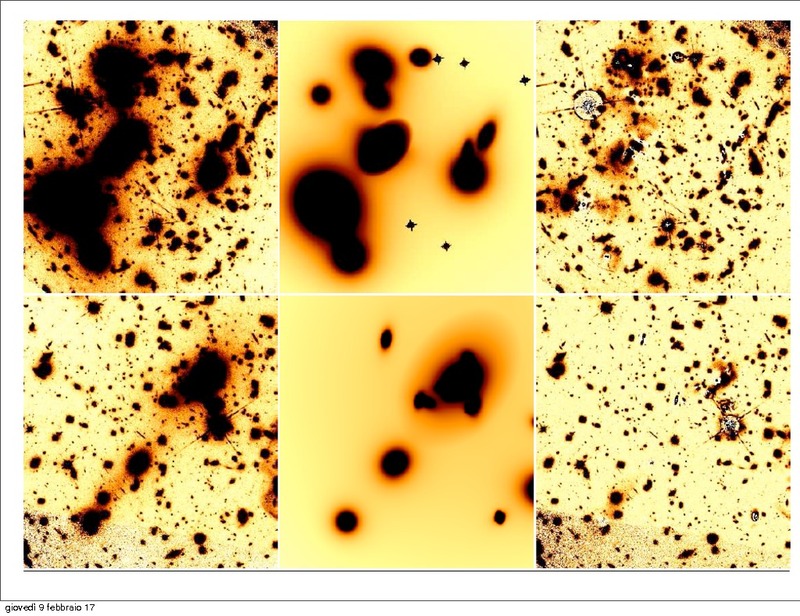 MACSJ-1149 cluster: A tar containing the multi wavelength catalogs and photometric redshift information of the MACSJ-1149 cluster. MACSJ-1149 parallel: A tar containing the multi wavelength catalogs and photometric redshift information of the MACSJ-1149 parallel field.